Are you stuck on how to cite books, academic sources, online periodicals in APA? 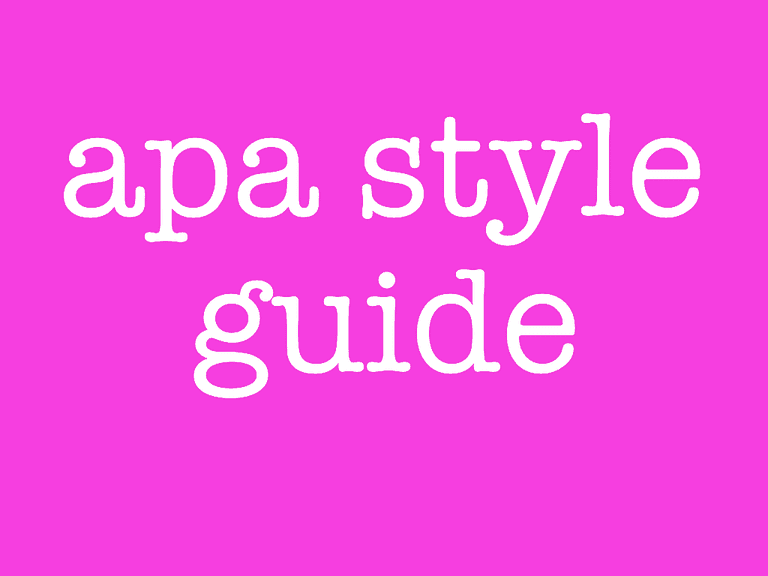 A comprehensive APA Style Citation guide is here. Learn how to reference any document in APA both in-text and reference page citation. To Start With, APA Stands for, The American Psychological Association (APA). It is a format of writing applicable for articles and white papers in the scientific, academic and social sciences category. Main features of the format are related to date and author references to the source from which you take the concepts and ideas. The other aspects are related to the quotation from online sources, document length, headings, publication information, and additional information. This article is about the APA 8th edition which was released in the year 2016 with all the updates from the previous editions. Creating A Reference List With Multiple Authors In APA (6th ed,). APA Style Manual: APA 5th vs. 6th edition. What Was New? The recommended typeface for the text is Times New Roman with font size 12. Visual representation of data in figures should be in sans serif. You may also use Arial or Helvetica with font size ranging from 8 to 14. APA allows Italics for book titles, technical terms, the scientific name of plant and animal species, statistical and mathematical symbols, and linguistic names. APA recommends the usage to be minimal and only when it is unavoidable. Italics should not be used for Roman numerals, foreign language words, emphasizing words, and subscripts to statistical data. 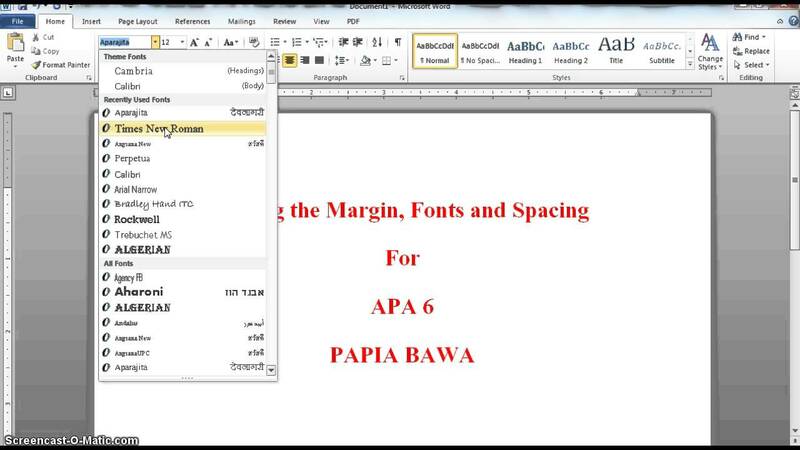 APA format has five distinct types of headings to separate the sections. Level 1 is always centered and bolded with the combination of upper case and lower case (capitalized). The second heading is aligned to the left with bold font, and the combination of upper case and lower case (capitalized), followed by a period. Third heading is indented with bold and lower case followed by a period. Fourth heading is indented with bold font, italicized lower case followed by a period. The fifth heading is indented and italicized lower case followed by a period. The paragraphs below the heading begin with standard indentation. According to 6th edition (updated from 5th edition), the headings should follow the levels without skipping the order. The title “Introduction” is no longer required. The first paragraph will be considered an introduction by default. Each heading within the document can have lower level headings, but they should be in order. Sections such as author note and abstract have to be in the standard formatting with no italics or bold. The standard paper size for APA format is 8.5 “width X 11” lengths with one-inch margin at the top and bottom. Side margins could be 1″ or 1.25″. As discussed earlier, the APA two citation types are in-text and reference list. 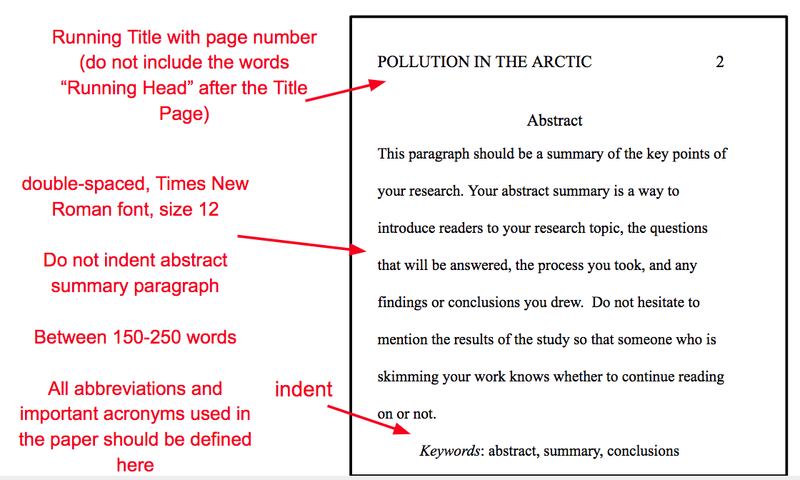 In-text citations are usually at the end of a paragraph or sentence. Generally, they are shorter compared to the reference list. In-text citation could be a direct quote or paraphrased reference. In-text citation consists of author name followed by the work /publication date. Basic APA In-text Citation Rules that should be followed. If there is more than one author, their names should appear in the same order as in the source. The initial of the authors should be in upper case followed by a period. A comma separator should appear after every author name. Initials should be for the first and middle names of the author as in the source. If the author name is unavailable in the source, you can quote it as Anonymous. If the same author has multiple citations, author name should be followed by including the date information within parenthesis. Ex: Willmar (1990a) and Willmar (1990b). According to APA date format, you have to specify only the year. You can include the complete date when it is unavoidable. If the information on a date is unavailable, you can write (N.D) for the date. An organization could be the creator of a source document. Then you have to specify the complete organization name. Direct quote type of citation can include the book name, author name, and date followed by the page number of the reference. It is a listing which generally appears at the end of the document. Every author and book detail has to be in a single line with seriation. The font should be in a standard format with no bold. Direct quote could be a statement by an author or other authoritative individuals from a specific faculty. For example, you can quote as follows. “The need for the challenge was motivated not only by psychology’s limited theories but also by the actual experience.” (Thomas TEO 1998, P 239). Thomas TEO (1998) states that “The need for the challenge was motivated not only by psychology’s limited theories but also by the actual experience.” (P. 239). “The need for the challenge was motivated not only by psychology’s limited theories but also by the actual experience.” (“History of psychology”, P239). Multiple authors in the in-text citation can be two or more. If there are two authors, you can bind them with a “&”. For example, you can consider the following citation. “Socialism can be viewed as a blessing and curse, depending on which of the mirror you are on” (John & Smith, 1945, P.148). John & Smith (1948) define socialism as “A blessing or an evil, depending on which side of the mirror you are on”. Paraphrased reference will have author’s last name with the publication date. There are two ways in which you can write the reference. According to John (1948), socialism could be a blessing or a curse. No-Author: In some instances, it may not be possible to trace the author’s name since it may not be available. In such cases, you can make a direct quote and cite the source of information without any reference to the author. “The study of psychology remained in the abstract form until the psychiatry took over the practice of treating patients” (“psychology Vs psychiatry”, 1998). Organization: There are many instances, in which the reference will be from a source created by an organization. For example, you can think of Rolex Company describing the benefits of wearing the automatic winding watches. The following example illustrates such a citation. Rolex has been instrumental in the production of automatic winding watches to save on battery energy and reduce the overall weight of the watch (Rolex, 1934). If the company name is long, you can use the short version of the name for the subsequent references in the in-text citation. For example, you can shorten the name of General Electric as GE. APA Reference-Loop In-text Citation: Loop occurs when your reference uses another reference within it. Thomas TEO found that the need for the challenge was motivated not only by psychology’s limited theories but also by the actual experience (as cited in the history of psychology, 1948). You can get more information about the different types of other in-text citations here. APA Style Reference Page Citation. An APA document can have citations from multiple sources. For example, you can refer to printed sources and electronic sources. You may also refer to online sources like blogs, websites, etc. The citation style for each source varies. Let us look at some of them closely now. APA citations from the printed sources can be of the following types listed here. Since they have no online reference links, you have to specify the complete details in the text format. One-Author: The first format of referencing is Author-name, Initials (Publishing year). Book Title and Subtitle of the book. Location (city and state): Publisher name. Example: CLIFFORD MORGAN, T (Year), A Brief Introduction to Psychology, New York, NY, Publisher-name. Multiple-Authors: If there are multiple authors for the book, you can include in the form of Author-name1, initial, Author name2, initial, Author name3, initial, (year), Book title, city, and state, publisher name. Example: Menzies, Rachel E.enzies, Ross G.verach, Lisa, (2018), Curing the Dread of Death, Australia, Australian Academic Press. The above example has the county name instead of city and state name. You can quote it when the city and state name are not available. This type of citation is usually done at the reference list. You can also cite the same in the in-text reference. Then it gets shortened you can quote as Lisa et al (2018) followed by the title of the book which is Curing the Dread of Death. Editor: In some instances, it may not be possible to get the author name. Then you can replace it with the editor name. The general format is Editor-Last-Name, initials (Ed.) (publication-year), Book-title: Subtitle. City, State (Abbreviation): Publisher-Name. The above example cites a single editor. You may extend the same example for multiple editors, with each name followed by a comma. Section-of-Book: The citation can also come from a specific page in the book. Then you should specify the page number after the book name. The general format is as follows. Author-name1, initial, Author name2, initial, Author name3, initial, (year), Book title (PP page-number(s), city and state, publisher name. Example: Salman Rushdie, (1981), Midnight’s Children (PP 45-55), United Kingdom, Jonathan Cape. When you refer to multiple books by the same author, it is good practice to specify them in separate lines, since it eliminates ambiguity and brings clarity to the reader. 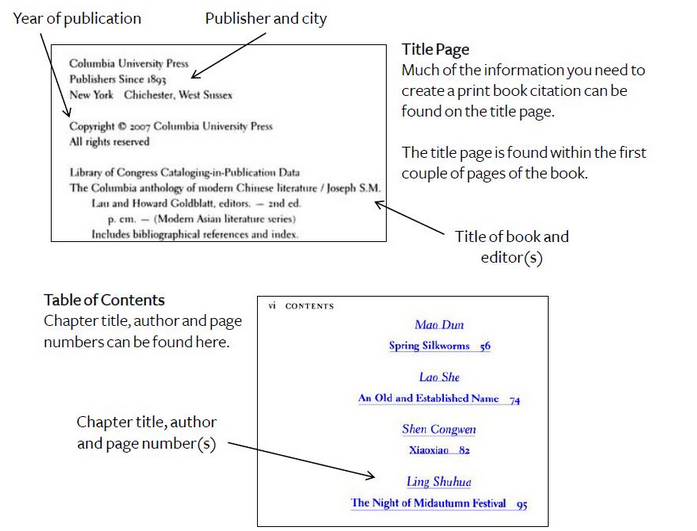 For the book with multiple authors, you can follow the format specified above. The same pattern applies to the editors. Some of the printed books may be from the organization. For example, you may refer to the user manual of a vacuum cleaner published by Eureka. Then you can write the company name instead of the author name. Example: Eureka (2010), Owner’s Guide, New Delhi, Delhi, Eureka Forbes. The publisher and the author of the book will the same. You can specify the same name in both the places. Here, we have seen only a few examples for the book citations with the standard format. There are many more methods which will be available in the APA original manual 6th edition. The general format is Author-name, initials. (Year), Entry-Title, Editor-initials, Editor-Name (Ed. ), encyclopedia-name (edition).Retrieved-database-Name. Example: Jonathan (1998), Species of South America, JKB, Johnson (Ed), Encyclopedia Britannica (200X), YB078987. If the reference is to a specific page on the encyclopedia, you can also refer to the page numbers. The following example will suffice. Example: Jonathan (1998), Species of South America, JKB, Johnson (Ed), Encyclopedia Britannica (200X) (PP 26-89), YB078987. In some instances, you might have retrieved the information from a web-source with no known author name. Then you can ignore the author and input the format shown below. Entry-title (Year). Editor-initial and name and (Ed. ), Encyclopedia name (edition if specified), retrieval URL. When you specify the URL, the reader can open it directly and refer to the additional resource. The main purpose of a citation is to avoid copyright violation. At the same time, it is useful for the reader to get links for additional information about the selected topic. It will also give a sense of authority to your writing. You can also use the encyclopedia reference for the in-text format. For example, (“Hydrogen”, 2010), Note that it has no encyclopedia name, author name, or publication number. It carries only the title with the year of publication. In such instances, you should have mentioned the encyclopedia name in the previous sentences of the article. For example, you can specify (Encyclopedia Britannica, 2010). The sense of continuity can become a common practice when you specify the encyclopedia resources within the in-text citations. You may also use the direct quote with the sandwiching technique as explained above. It gives a sense of authority to your content. Multiple-Authors: An article reference from encyclopedia may have multiple authors. In such instances, you should use Author-name1, initials, Author-name2, initials, Author-name3, initials (Year), Entry-Title, Editor-initials, Editor-Name (Ed. ), encyclopedia-name (edition).Retrieved-database-Name. Example: Jonathan, Johnson, T, Michael, (1999), Wildlife of Amazon jungles, JKB, Johnson (Ed), Encyclopedia Britannica (200X) (PP 99-100), YB078987. If the encyclopedia references are for multiple articles written by the same author(s) in multiple publications, it is better to cite them separately to avoid ambiguity. You may take the reference from a published or unpublished dissertation for your APA style of academic content writing. The general format is as given below. Author-name1, initials, Author-name2, initials, Author-name3, initials (Year), Dissertation-Title, Academic-institution, city, state. Example: Larissa F. Arnold (2018), Training reduces the drawing detriments associated with categorical perception, Iowa State University., Ames, Iowa. The dissertation can also be from a website of the university, college, or educational institution. The general format will remain the same, apart from the inclusion of the website name on the citation. Example: Larissa F. Arnold (2018), Training reduces the drawing detriments associated with categorical perception, Iowa State University., Ames, Iowa. Retrieved from (URL name). The same format applies for a thesis work related to the doctorate works from an author whom you have referred. Your academic writing can take references from the other research papers which are in the print format, online URL, or any other valid APA format. Then you can refer to them as follows. Author-name1, initials, Author-name2, initials, Author-name3, initials (Year), Research Paper Title, Academic-institution, city, state. Example: Moritz KreutzerDominik ErnstAlan R. BishopHolger FehskeGeorg HagerKengo NakajimaGerhard Wellein (2018), Chebyshev Filter Diagonalization on Modern Manycore Processors and GPGPUs, University of Erlangen-Nuremberg, Nuremberg. The writing style of your academic article could be any of the ones which we have specified above. You can represent the concepts and ideas on your own style with reference to the research paper. But you should ensure that the entire concept is not borrowed from the original research paper. For example, the above reference is to the Manycore processors. Your research could be related to the same concept or theory which can take the support of this concept. For example, you may refer to a machine on which the processor can be loaded. Or you may refer to a part of the processor like the inbuilt co-processors. The reference could be to an online document that belongs to a government organization, private company, or other documents like the ISO, UL, ASTM, and other standards. Such citations will be highly useful for referencing from essays and research papers. Author-name1, initials, Author-name2, initials, Author-name3, initials (Year), Document Title, Publisher name, city, state. Sometimes the source of retrieval may change. In such cases, you don’t need to specify the date with reference to the publication. Reports can be from financial, technical, scientific, sociological, and other faculties. It could be an annual report, event report, research report, or other types. You may use the in-text citation or the reference listing at the end of your essays. Here, we have shown you some of the most common formats with examples. Organization name (Year), report Title, Publisher name, city, state. Example: Siemens (2018), A Users’ guide to comprehensive energy management, Siemens, Berlin. You may also refer to the reports published by individual researchers. In such cases, you can use the flowing format. Author-name1, initials, Author-name2, initials, Author-name3, initials (Year), Report Title, institution name, city, state. Example: Jonathan, Cynthia, Margaret (2005), An insight into the working of artificial intelligence, University of Berkeley, Berkeley. 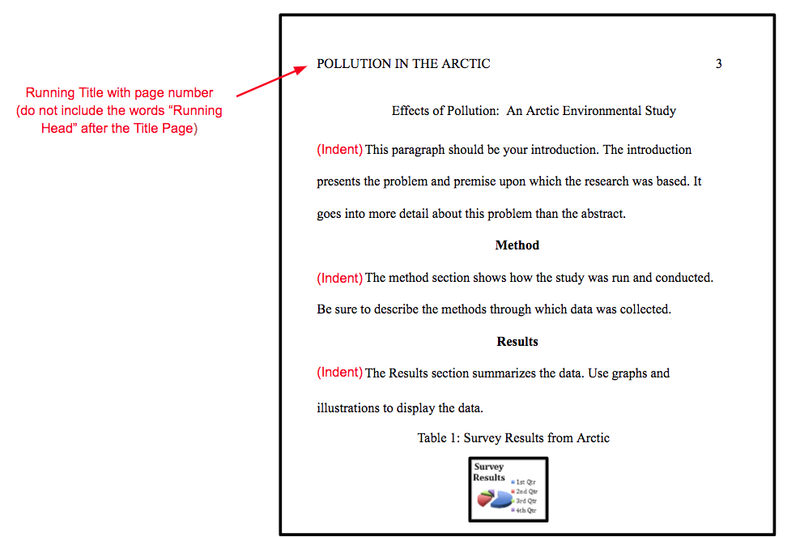 You can use the original research reports for getting the basic ideas into your essays and other related research works. Some of the concepts in the original report could be useful from the theoretical perspective. For example, you can consider the formula and equations used in the original report. They can be useful for extending their applicability in the practical scenario. Instance: The instance of a report will be useful in your essay for a reference point. For example, you may write an essay about the state of scientific research in the South American counties. Then you can use the original report for statistical data. You cannot, however, copy the graphs and charts used in the report directly. You need to create them in original based on the data from the original report. It is mandatory for you to specify the source in the in-text format as well as in the reference listing. In-text: The in-text reference can include only the last name of the author and the year. If there are multiple authors, the recommended practice is to specify them in the reference listing. Author-name1, initials, Author-name2, initials, Author-name3, initials (Year), report Title, Publisher name, city, state. Online periodicals publish many types of articles, research reports, documents and other types of content. You may refer to one or more of such articles in your academic writing. You may use the part of the original article for getting the concepts into your essays and other related research works. Some of the concepts in the original article could be useful from the theoretical perspective. For example, you can consider the formula and equations used in the original article. They can be useful for extending their applicability in the practical scenario. There can also be online periodicals which contain news related to the implementation of a concept. For example, consider the installation of solar panels in a remote Indian village. The implementation may have brought relief to the people by giving them electricity for lighting, agriculture, and energy for the cottage industries to be set up in the village. Your academic essay may be related to the benefit of bringing solar energy to the villages in India. Then you can refer to the latest reports in the newspaper. Primary Format: Author-name1, initials, Author-name2, initials, Author-name3, initials (Year), Article Title, and URL Link. The reference format can be from an article in an online magazine. Then you can refer to the following format for citation. Primary Format: Author-name1, initials, Author-name2, initials, Author-name3, initials (Year), Article Title, journal name, and URL Link. Example: Lakshmi Priya S (January 18, 2019), India Will Soon Have its First Fully Electrified Highway for E-Vehicles: All You Need to Know, the Better India, retrieved from https://www.thebetterindia.com/170058/delhi-electric-vehicles-charging-highway-travel/. Similarly, the references can be from reviews and letters to the editor. In such cases, you should specify the complete details of the letter with the sender, publication date and year, and the publication URL link. References to the online periodicals should be preferably from the current date to maintain the newness top the readers. You can also quote from archive publications if your article is related to past events. Make sure that you specify the month, date and year clearly. APA citation to the online journals is almost similar to the online-periodicals. The additional information you provide is related to the journal volume, issue, and the page numbers from which you have taken the reference. Primary Format: Author-name1, initials, Author-name2, initials, Author-name3, article-title, journal-title, journal volume number, issue number, page numbers, publisher name and date of issue. Example: Jasmine Khattra, Lynne Angus, Henny Westra, Christianne Macaulay, Kathrin Moertl, and Michael Constantino, Client Perceptions of Corrective Experiences in Cognitive Behavioral Therapy and Motivational Interviewing for Generalized Anxiety Disorder: An Exploratory Pilot Study, Journal of Psychotherapy Integration, Volume-27, Issue-1, 23-34, American Psychological Association, (March 8 2017). As you can see in the above example, the citation allows you to have one or multiple author names. If you have a citation for more than one journal from the same author, the recommended practice is to cite them separately. The citation is for a reference list. You can create the same type of citation within the in-text style by quoting the last name of the first author, followed by the et al. Then you can specify the year within parenthesis. Example: Khattra et al (March 8, 2017), Client Perceptions of Corrective Experiences in Cognitive Behavioral Therapy and Motivational Interviewing for Generalized Anxiety Disorder, 19:00 28-36. It will be for the first occurrence of in-text citation. For the rest of the citations, you can use the short form of Khattra et al (March 8, 2017). The APA format of e-books is almost similar to the printed book. You need to add the URL link for the e-book from where you retrieve the source. 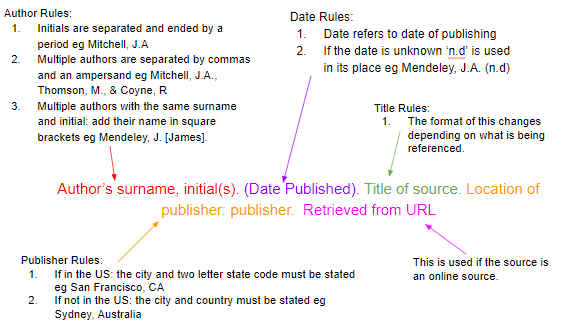 The citation rules are applicable for the reference listing as well as the in-text citations. Similarly, you can create citations for Book Reviews, Bibliographies, Online Presentations, Online Apps & Software, Blogs, YouTube (and other) Videos, and Podcasts. The citation format for the video and audio podcasts may have some small additions to the URL links, speaker name, date and time of video and podcast. 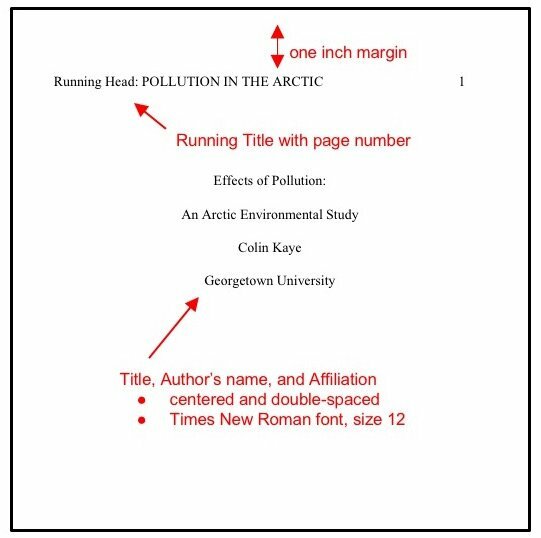 The title page should have a heading, title, author name and the organization in which the research work is intended. It provides brief information about the concept and implementation of your project. The abstract should be brief and precise about the research work document. You can write about what are the covered aspects in the document with the expected results. The main body text should be split into multiple sections, based on the depth of the work done. You may include images, tables, graphs, and Infographics as part of the text. Seriation and bullets should appear when you want to highlight the hierarchical data or important information which you wish to display for the readers. Graphs and images should add value to the text information without repeating what you have stated in the text. Every graph, table, and the image should have a number, followed by the caption. For example, Table-1 Statistical data of senior citizens in Texas old age homes. The text has to be double-spaced for better readability. Tables can be single or double-spaced. It is a recommended practice to write the text in short sentences and paragraphs. You can break down a complex sentence into multiple sentences, wherever it is possible. But the intended meaning should remain the same as the original. Text should be focused on the chosen subject. APA recommends avoiding irrelevant and lengthy text which may distract the readers’ attention. The body of the text should have left alignment with uneven right alignment. Table heading should have a flush right alignment with italics font. The first letter should be capitalized. All abbreviations in the table should have a corresponding explanation below the table. You can use horizontal lines in the table. 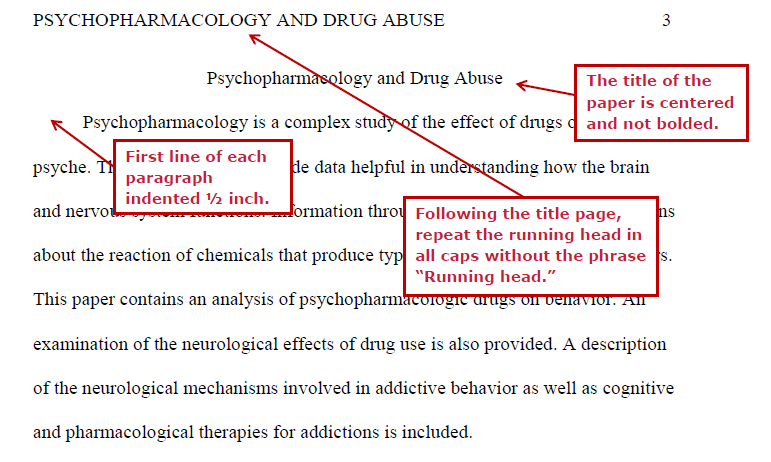 Vertical lines are not allowed in APA format. You can use the table only if it has more than two rows and columns. APA recommends fewer data to be in the form of text. Every column the table should have an exclusive title. Citation of external data should be accurate. Notes (if any) for the tables should be presented below in the order of general, specific, and probability. Figures: charts, graphs, drawings, photographs, maps, etc. APA reference style for charts and graphs begins with a text reference within the content. The citation has to be right beneath the graph. The next task is to write a brief description of the graph. You can write the citation with the volume, page number, author, date, and publication details. 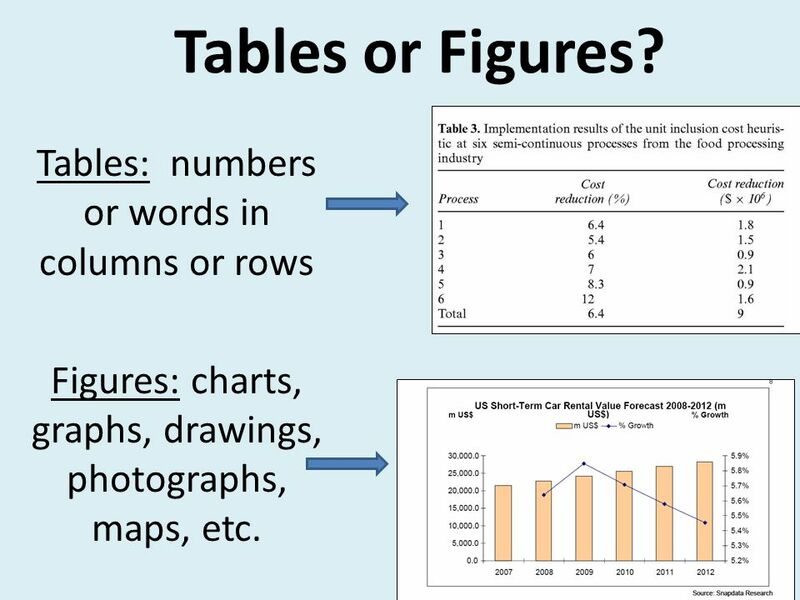 This style of reference is applicable when you recreate a chart or use the original chart directly in your research work. Graphical representation (bar-graph, pie-chart, etc) should be preferably in black &white (REFERENCE) unless it is absolutely critical to add colors. You may use lines and patterns while representing more than two sets of data on the X and Y axes. You should use only two-dimensional graphs. The graph types should be a preferably columnar, bar, line, and pie-charts. APA the use of 3-D graphs, scatter, area, radar, and other types. The fonts for the titles, sub-titles, data series, and other text in the graph shall be the standard as the content text. You can copy and paste the graph from the source application (ex: MS EXCEL) onto the document. You should make clear references to every graph in the content with s unique name. You should provide a caption for the graph just beneath it with the unique name and a brief description. You need to indent the whole text by an inch. Define all the acronyms and abbreviations used in the graph within the same caption text. You may use alphabetical, numbered and bulleted lists in APA style of the document. Lists represent a chronology of events, the priority of tasks and objects (alphabetical or numbered), or a general listing of items (bulleted) without any order or priority. Bulleted List: Bulleted list may use any shape, but the most common ones are the dot (circle) and square shapes. You can use a bulleted list for the ingredients of a specific food, chemical compound, or components of a machine without priority or order. Numbered List: Numbered list may use Hindu-Arabic numerals or Roman numerals. Numbered lists should add value to the text content. You need to use them only when it is not possible to represent the flow through normal paragraphed text. One of the best examples could be the installation of an operating system in the computer hard disk. There will be many procedures and sub-procedures related to initial setup, scanning, hardware, and the installation wizard. You can represent the procedures only through numbered lists. Alphabetical List: An alphabetical list may use upper or lower case letters. It is similar to the numbered list with relevance to event/procedure chronology and priority. Alphabets may appear in upper case /lower case in the main list numbering. They may appear as a lower case within each list after the semicolon separator (for sub-categorization). List Text: The text in the APA list should be consistent in concept, grammar, and context for the longer sentences. Continuity of flow is the other important factor which you should ensure in the list. Let’s consider an example for the longer version of the text in a list. Example-1: The employees in the manufacturing companies X, Y, and Z get equal pension benefits. The employees in the processing company A will have additional benefits. Example-2: The employees in manufacturing company X and in companies Y and Z get equal pension benefits. Those in processing company A will have additional benefits. In the first example, we know X, Y, and Z are manufacturing companies and A is a processing company. In the second example, clarity is only about manufacturing company X and processing company A. There is ambiguity about Y and Z as they are only specified as companies. It is not clear whether they are into manufacturing, processing, or other sectors. Punctuation: Similarly, APA formats are clear about the use of punctuations in the lists. The two main punctuation used in the listing are comma and semicolon. The comma is used as a separator of two individuals, objects and elements. The semicolon is used for grouping based on a common condition or a generalized form. Let us consider some examples in the following listing example. Example: Employees can wear the blue shirt, blue tie, and black pants in the production-department; green shirt, green tie, and blue pants in the warehouse; and yellow shirt, no tie, and red pants in the maintenance and safety department. All of them wear black shoes and white socks. Here, the semicolon represents grouping based on department. The comma represents the separation of objects. You should follow this convention for all the listings with multiple groups and objects. The next aspect of listing is the usage of lower and upper case alphabets in the sentences. Let us rewrite the above example with the inclusion of the (lower-alphabet-grouping). Example: Employees can wear uniforms according to the following rules; (a) blue shirt, blue tie, and black pants in the production-department; (b) green shirt, green tie, and blue pants in the warehouse; and (c) yellow shirt, no tie, and red pants in the maintenance and safety department. All of them wear black shoes and white socks. They give further visual clarity for the readers. As you can see, the rules for other punctuation have remained the same. 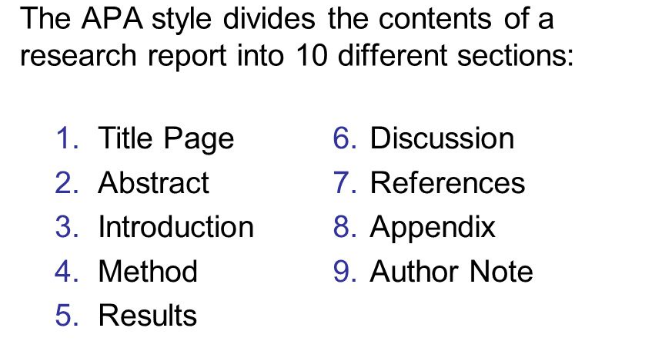 The APA style experiment report has a typical structure of title, author, affiliation, and the double spaced manuscript. The capitalized running head appears in the left flushed format at the top. The title is center flushed with the combination of init-caps lower case text. The second line contains the title with the third line for college/institution affiliation. Author note and the abstract of the experiment appear on the next page in the double space and left flushed format. The experiment details follow in the body text in the double space and left flushed format. The first part of the body text is the introduction. It is followed by the method, results in discussions, and the citations sections apart from the appendix. We have discussed the details of citations in the next section of this article. Here, we will look at the other sections. Headings: APA allows you to have up to five sub-headings from H2, H3, H4, H5, and H6. Abstract: Abstract is the summarized form of the experiment purpose and the target goals of the different sections in the report. The title “Abstract” is centered. The text should be no more than 120 words without an indent. Method: The method section should include resource details (used in the experiment), participants’ details, and procedures. You should preferably create multiple sections with headings. Results: At the end, you can write a brief summary of the experiment outcome and the further improvements which can be made on the outcome. Discussion: Here, you can write the mathematical derivations, statistical data, tables, charts and graphs, and other numerical results related to the experiment. You can also compare your results with the similar experiments carried out by others and state the reasons for the result values you obtained. References: We have discussed the references in Citations Sources section below. They are applicable for lab/experiments, literature review, research papers, essays and the others which we have discussed here. A literature review is the summary and evaluation of original work from the original author by the researcher (you). The literature work could be related to sciences, sociology, psychology, linguistics, or any other related faculty. You can include critical analysis, comments, scope, benefits (stated and evaluated), limitations (stated and evaluated), and the related aspects. The recommended practice is to follow the chronological order as in the original literature. It gives a clear and concise perception of the work to the readers. 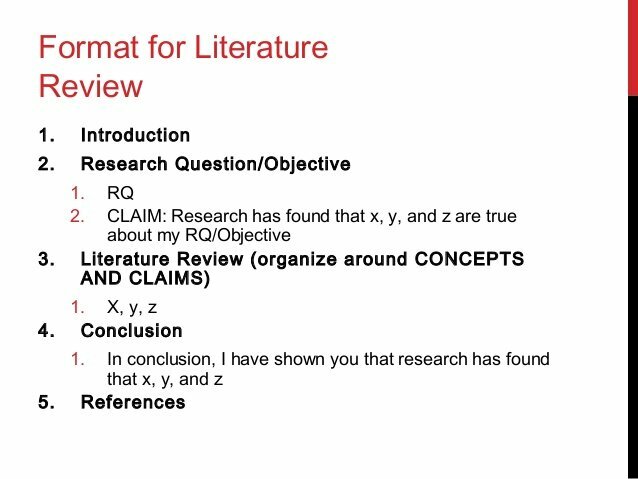 The structure of a typical APA literature review could be as follows. 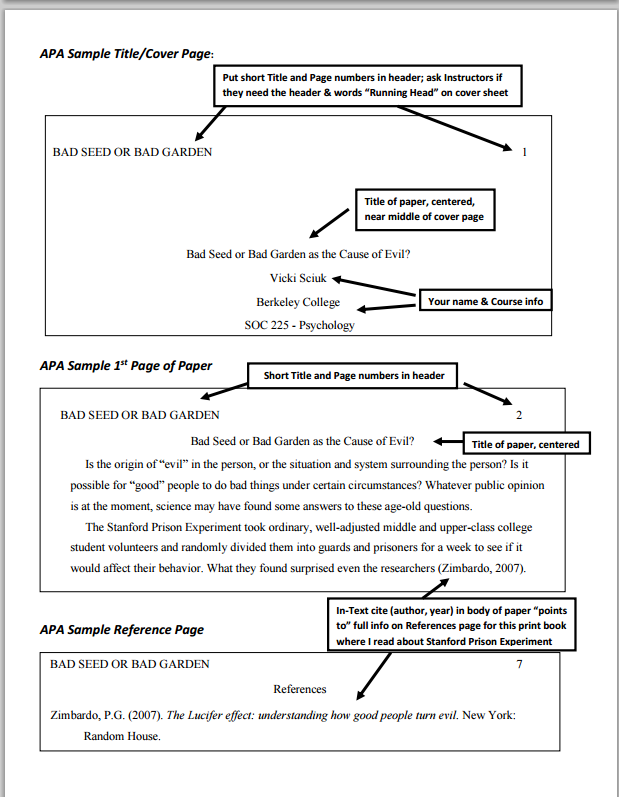 A sample literature review by a student with corrections from the department head can show you exactly how to write the APA format document. Description and comparison followed by the evaluation and analysis are the key areas of literature works for the science and psychology faculties. Citations can be from any or all of the sources as discussed in the Citation Sources section below. The research report is a detailed document which covers the faculty, type, purpose, goals, methods, and results. The APA style of reporting includes the following probable sections. The sample will show you how you can format each section of the research report according to the APA guidelines. The research report can also include the experiments, studies, interviews (as case studies), and the other finer aspects. Every section should be a continuation from the previous and foundation for the next sections. It is the recommended way for maintaining consistency in your reporting in the APA format. An academic essay can be from any faculty of your study. The purpose is to improve the analytical and logical thinking ability to a significant extent. The essay could be narrative, argumentative, descriptive, expository, persuasive, analytical, statistical, and many other types. 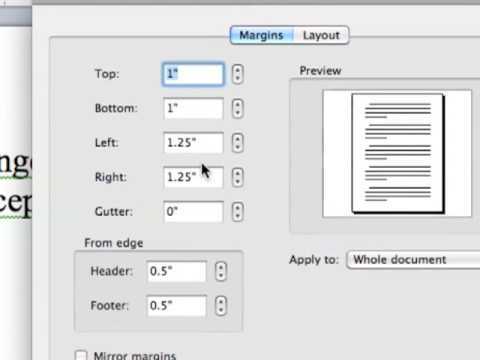 APA formatting will be common for all the types with reference to a font, margins, spacing, indentation, etc. The probable sections in an APA format academic essay could be as follows. The sample format could be helpful in writing your essay according to the APA style and guidelines. Sandwiching is a citation technique for improving the quality of your essay writing in the APA style. 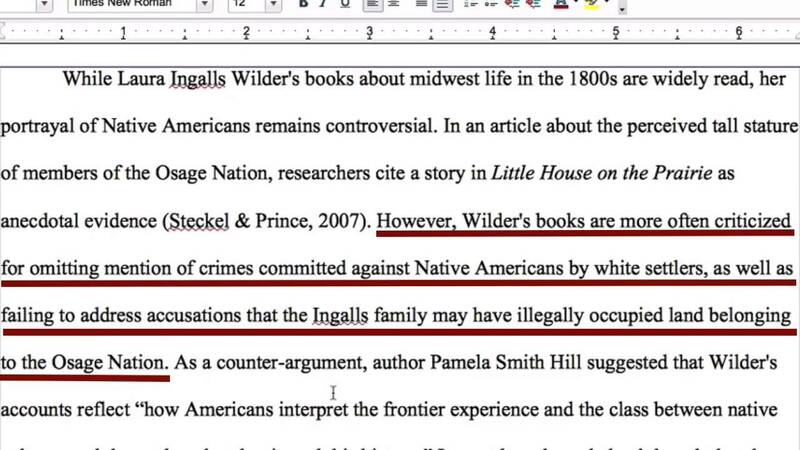 Direct quote citation is sandwiched between an introduction to the quote with the background and the description of the quote and its importance to the essay. You may use one or number of sandwiches within an essay, depending on the length and depth. Sandwiching is used mainly for the in-text citations of direct quoting. An example of a quote sandwich could be as follows. Scientists at the Penn-Sylvania research center have determined “the effects of noise on human behavior” (John P. Corso, WADC Technical Report 53-81) to have a negative impact on Personality Characteristics. As you can see, there are three parts in the sandwich. The first part is a brief introduction. The text within the quote is the title of the book of reference. It is followed by the author name and the publication name. Then it is followed by the assertion of the quote. The direct quote can also include statements from researchers, scholars, famous personalities, etc. There are many types of academic essay writing which you can create and present. 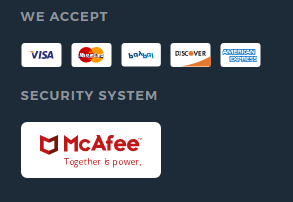 We have listed a few of them here for your understanding. Persuasive Essay: Most of the persuasive APA style essays focus on the emotional part of human being and life. The assertion of your concepts, argument presentation, critical analysis of the given topic, and complete description of the concepts are some of the aspects of a persuasive essay. APA style of writing for persuasive essay uses 1.5 spacing in the body which includes citations also. Paragraph indentation is five spaces. Alignment is to the left. The abstract should appear in a separate page on the document. Standard font is Times New Roman 12. Narrative Essay: Narrative is storytelling the type of writing. You can add emotions, opinions, feelings, and other finer aspects of human life. It could be a short story, a novel, or any other type of fiction. Reader engagement is the key aspect of your focus. The formatting style for the entire structure remains the same as the standard. Narration essays often use the first-person perspective of the writing. For example, you can use the “I”, “We”, “me”, and “us” perspective in writing. Technical Essay: the technical essay is about the concepts and applications and science and technology. It could be related to machinery, software, tools, appliances, construction, design, etc. Here, you can use tables, images, graphs and infographics for enhancing the impact on the reader. They can also improve understandability levels. Formats are the same as APA standard for essays. 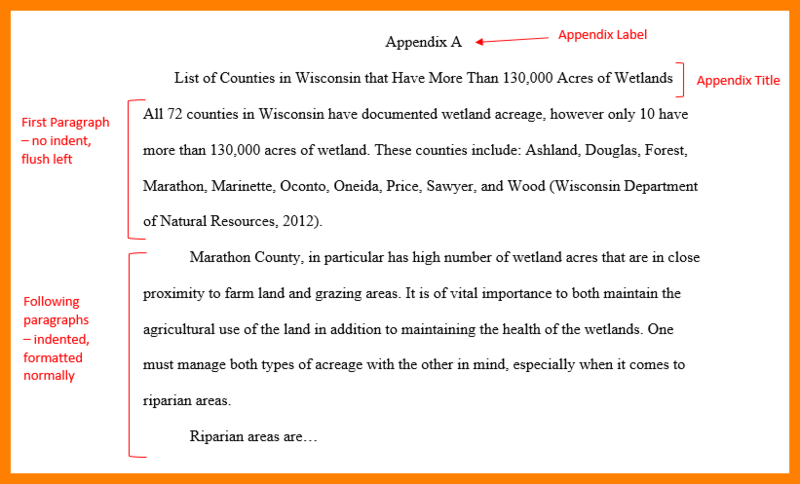 APA style of the appendix can contain a list of supporting documents, articles, and the descriptions which you have not covered within the academic paper. You need to dedicate each appendix for a unique topic. It may have a title, paragraphs, figures, tables, and abbreviations explanation. The font, margin, spacing and other rules apply to the appendix as well as the other parts of the academic college paper. In this article, we have introduced you to the most important aspects of APA citations. You can also use it for the formatting of content from the title page to the appendix. We suggest you read through all the related parts before taking up the assignment. We have also included relevant links at the appropriate locations. They can help you to extend your research and analysis of the APA style of writing. 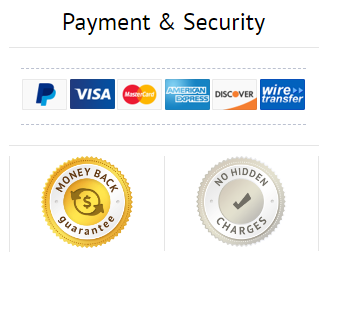 GET 20 % DISCOUNT use the discount code b9024898. Academic level High School Undergraduate Master Ph. 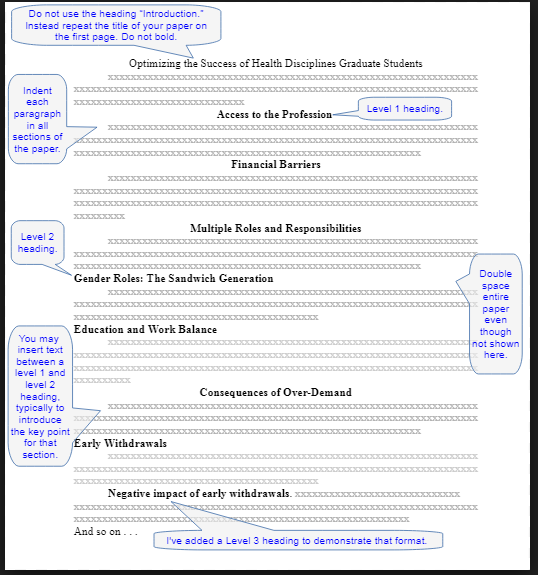 D.
All Rights Reserved | EssayMojo.com | Top Rated Essay Writing Service USA, UK, Australia. 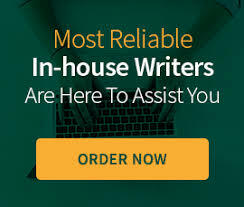 We Handle All Types Of Assignments From High School To PHD level.Native English Writers Only.